Taking care of sensitive skin doesn’t have to be hard. 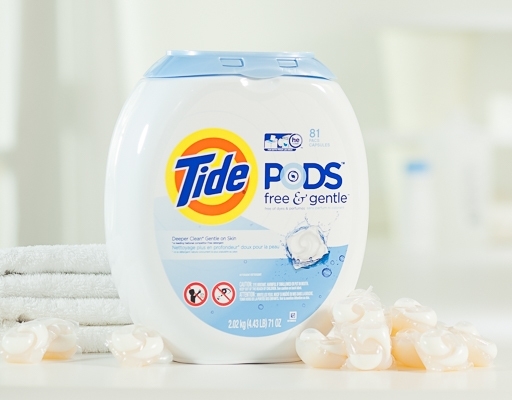 Each individual pac of Tide Pods Free & Gentle laundry detergent contains hypoallergenic, mild and gentle ingredients. It fights stains, brightens fabrics and is specially designed to include zero dyes and perfumes. 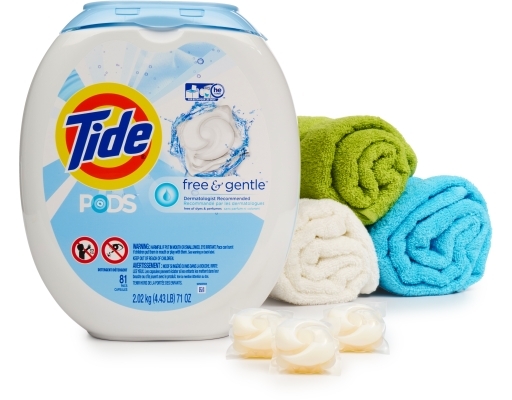 Simply pop one into your wash to get an outstanding Tide-clean in any size load, temperature or machine. 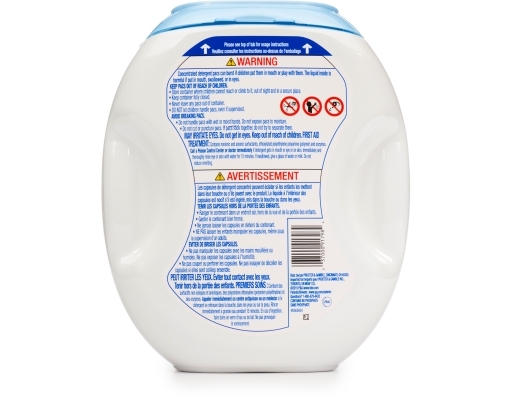 A gentle, eco laundry detergent that gives a simple, worry-free laundry experience suitable for sensitive skin. 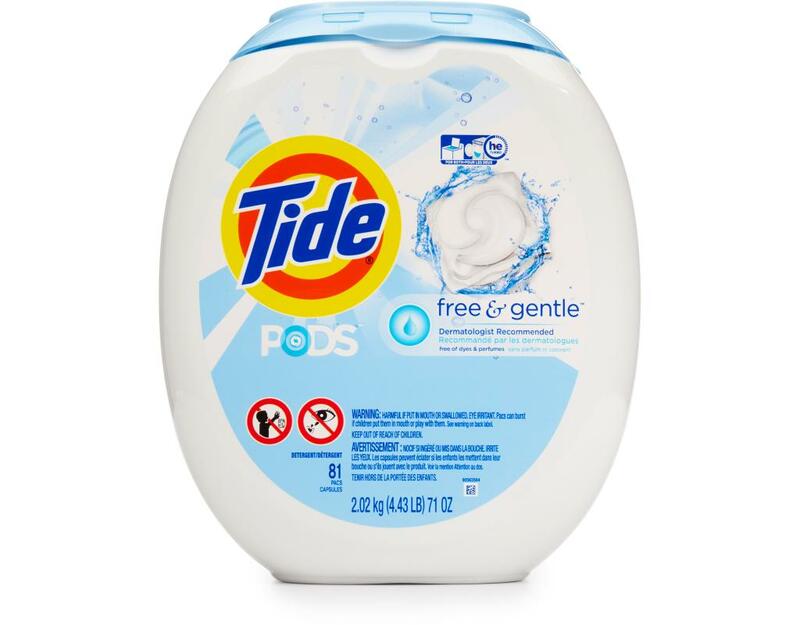 Tide Pods Free & Gentle Unscented Sensitive Skin Laundry Detergent will keep your family feeling and looking great.